We have a good chance here. Chelsea will play second string and Unsworth is accustomed to beating Chelsea reserves. This is the most confident I've been that Cuco Martina won't be in the team. This is the most confident I've been in awhile that Cuco Martina won't be in the team. I don't want to be impolite, but you are getting a bit boring. It's fine, I probably deserve it. Got a text regarding some early team news - Mirallas & Lennon back in, Sigurdsson & Keane dropped apparently. Presuming Schneiderlin in the middle as with Rooney. I'm realistic enough to know it might be short lived but I'm really excited to see us play again tomorrow. Hopefully with some energy aggression and genuine balance. I'm possibly delusional but I think we'll win tomorrow. Team has gone down on the train. 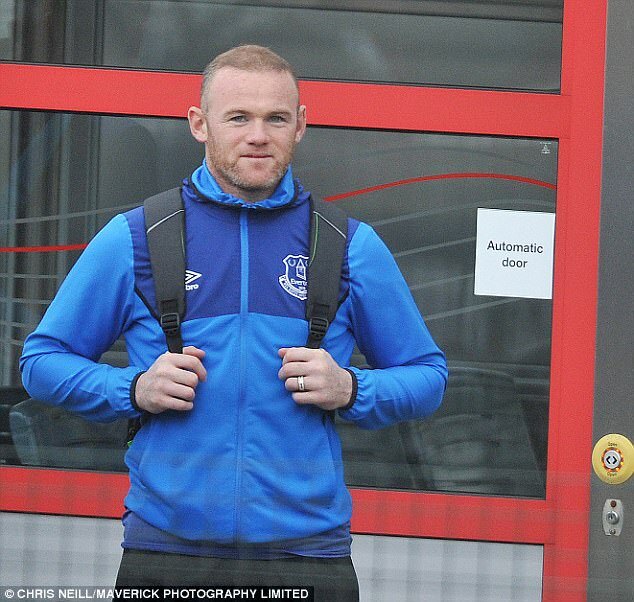 Here's Wayne looking excited about boarding the choo-choo, his mam packed him a nice lunch, I'd bet.